This Load Strap with Ratchet measures in at 50mm x 15m and is manufactured from a polyester webbing with stitched reinforcements around the hooks. 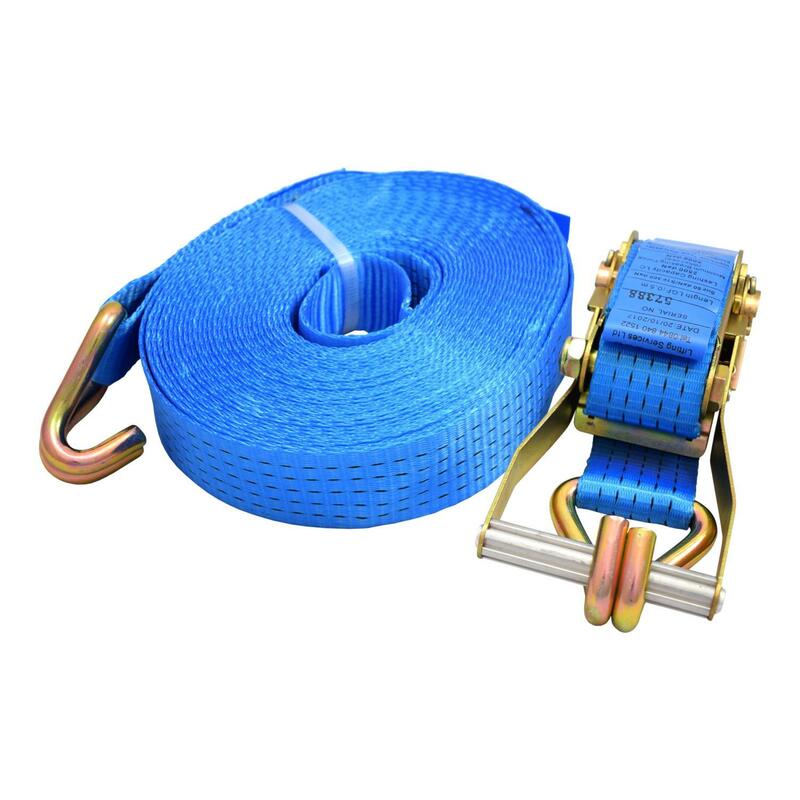 This ratchet tie down is suitable for securing loads and tarpaulins onto flat beds or trailers and for general load restraint. The ratchet mechanically tensions the webbing using a very simple drum and ratchet mechanism providing superior load restraint. A popular choice throughout Ireland, the UK and even worldwide and has proven time and again to be a popular choice amongst trade professionals.